The Communist party has acknowledged that the Popular Front created by Prime Minister Vladimir Putin misleads their loyal electorate, who are inclined to think of the new bloc as a left-wing movement. 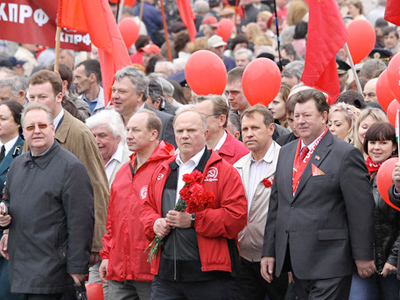 ­On its website, the analytical center of the Communist party has released a report saying that it is facing pressure from the All-Russia Popular Front. The document quotes results of a recent survey by the Public Opinion foundation which revealed that 27 per cent of Russians believe that the Communists should join the Popular Front. The party’s analysts observe that the rhetoric of the Popular Front has influenced a significant part of their potential voters. “The idea of a Popular Front coming from the ruling party which is leading an active promotion campaign, is perceived as a leftist idea,” they admit. 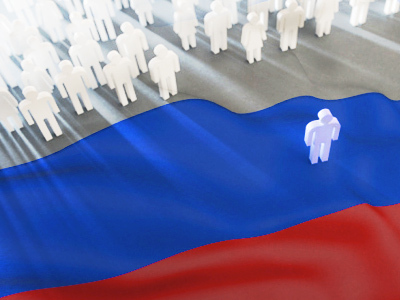 It should be noted that most Russians are indeed politically inactive and are not interested in political struggle. Previous polls have repeatedly shown this. Another conclusion is that the United Russia party “probably unexpectedly for itself, got an opportunity to play on the left-wing field.” At the same time, the analysts note that the effect might not last for long. However, the deputy director of the independent analytical Levada-Center, Aleksey Grazhdankin, told the Nezavisimaya Gazeta newspaper that the electorates of United Russia and Communists are actually very close to each other. He said that earlier they conducted a poll asking people what they think of the possible merge of the United Russia and Communist parties. “A large number of people were not at all against their unification,” Grazhdankin said. This means that the moving of Communist voters to the ranks of the Popular Front and United Russia has every chance of continuing. 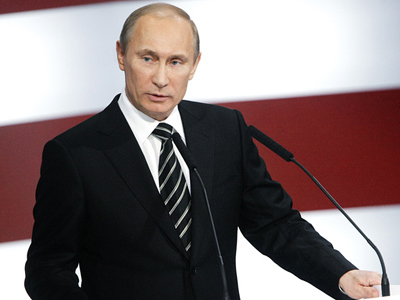 Prime Minister Vladimir Putin, who is also the leader of United Russia, put forward the idea of setting up an All-Russia Popular Front in early May during a party conference in Volgograd. The suggestion was to bring together various political parties, trade unions, youth and women’s organizations under a single political platform in order to make it easer to fulfill political and social initiatives from the public. However, the ruling party made no secret that the Popular Front is a means to attract more voters ahead of the forthcoming parliamentary election on December 4. 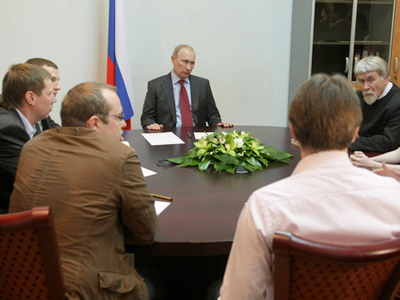 Later in May, Putin stated that United Russia needed to “revive itself thanks to new ideas and new people” to succeed. In less than a month, about 450 organizations and movements have joined the Popular Front and more than 170 requests for accession are now being considered, prime minister’s press secretary Dmitry Peskov revealed on Wednesday. On Thursday, it became known that an election program for United Russia and the Popular Front will be written by the Institute of Social, Economic and Political Studies, which will be established specifically for this purpose. The future head of the institute, former president of the Republic of Chuvashia Nikolay Fyodorov, told the RIA Novosti news agency that the program will be in fact a five-year plan of Russia’s development. It will also contain the timetable for its implementation and provide for sanctions for failing to fulfill the goals in due time. Fyodorov said that they invite experts from any organizations and parties to contribute their ideas and views to the program.